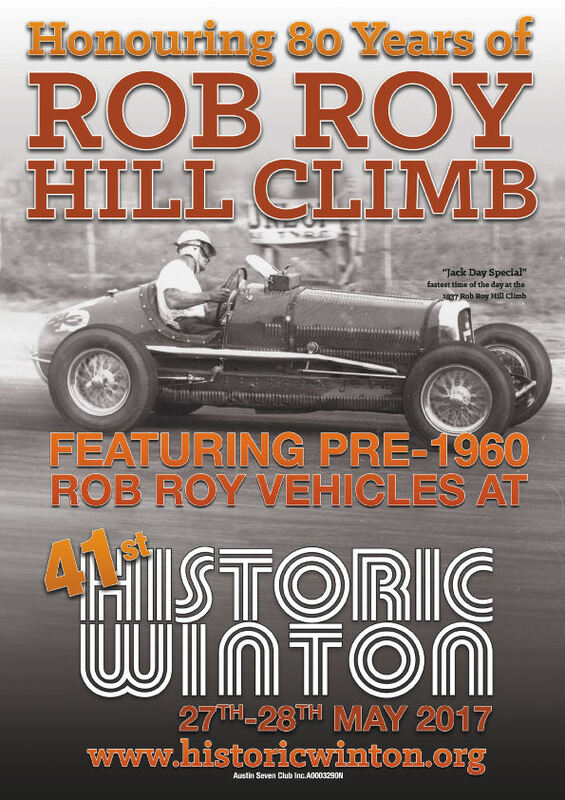 41st Historic Winton, Winton Motor Raceway, near Benalla, Victoria. Gates will open at 8 am for public ... non stop track side action from 8.30 - 4.30 both days. Plenty of heritage themed displays to be seen around the track perimeter. Full event schedule will be posted on the website soon. 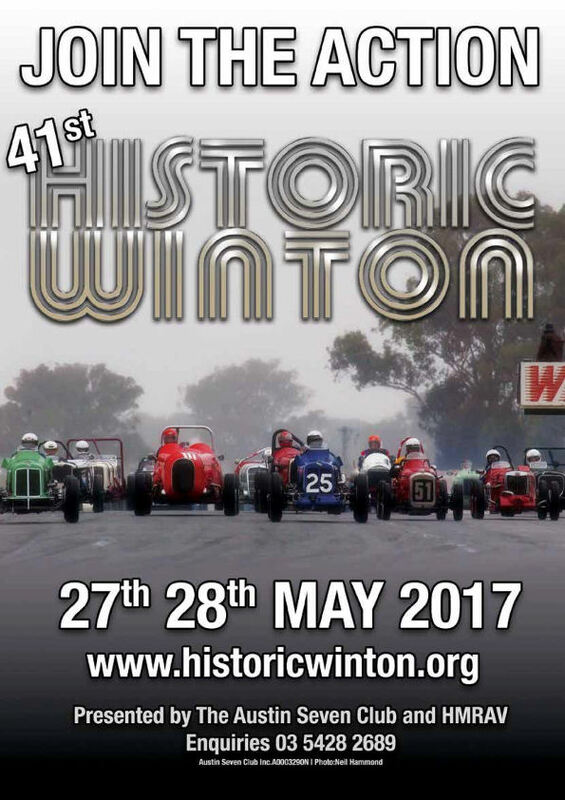 Festivities commence on Friday 26th May with the Benalla and District Classic Car & Motorbike Tour, followed by the Historic race event and heritage display which will be held an Saturday 27 and Sunday 28 May 2017. 50 years - Aston Martin DBS, Chrysler VE Valiant, Ford Falcon GT, Holden Torana, Simca 1100. 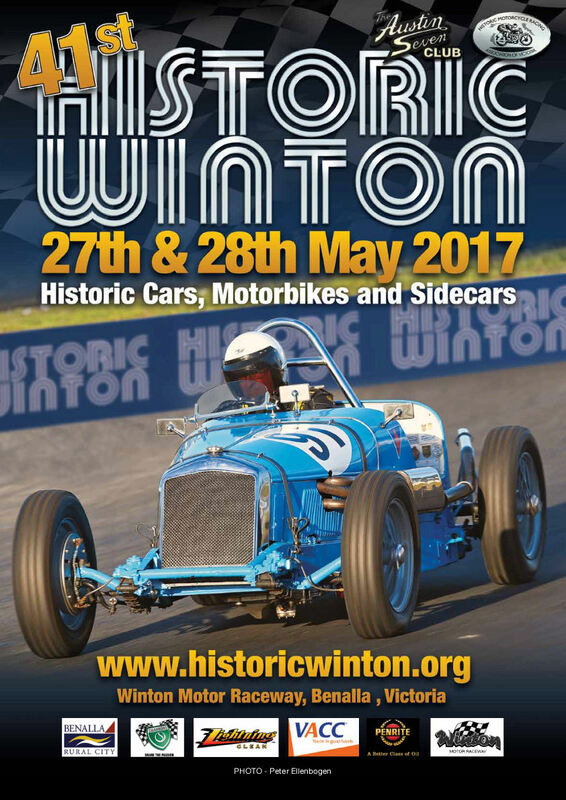 Shannons Classic Car Park featuring car and bike clubs plus special interest vehicles. 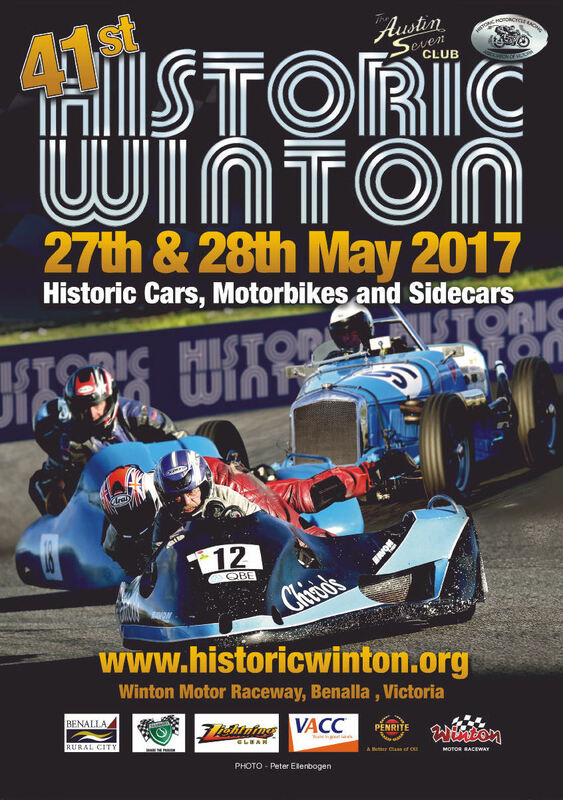 Heritage Display featuring Vintage Tractors, Steam Engines, Vintage Caravans, Vintage Speed Boats, Model Plane, Vintage Speedway Cars and Bikes, Micro Cars, Cycle Cars, Pedal Cars, Push Bikes, Dragsters, Veteran and Vintage Cars/Motorcycles. All -Makes Historic Motorbike gathering. Historic Commercial Vehicle Van display. Spectator access to the Competition Paddock with fabulous old racing machines on open display. 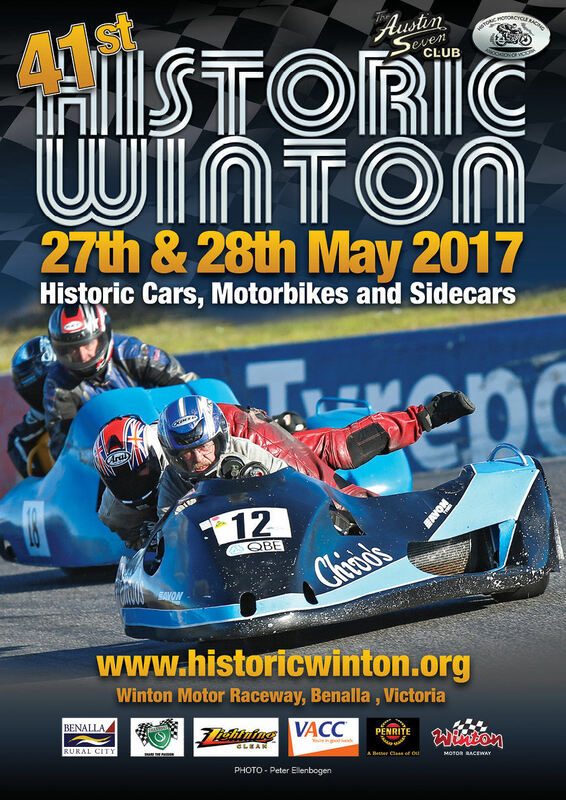 Winton Raceway entry fees: Saturday $30, Sunday $35 weekend $60, childern 16 and under n/c, competition paddock $5. 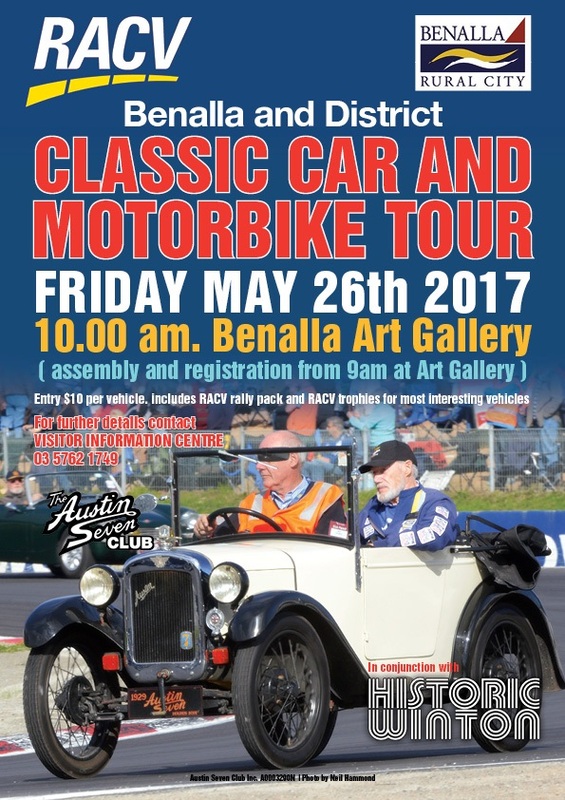 Friday 26th May 2017- Benalla and District Classic Car & Motorbike Tour. Be part of the Benalla & District Classic Car & Motorbike Tour assembling 9am Friday 26 May in front of the Benalla Art Gallery, situated in the Benalla Botanical Gardens. The Tour concludes with a 'Show & Shine' display. For further detail contact the Benalla Visitor Information Centre on 03 5762 1749.